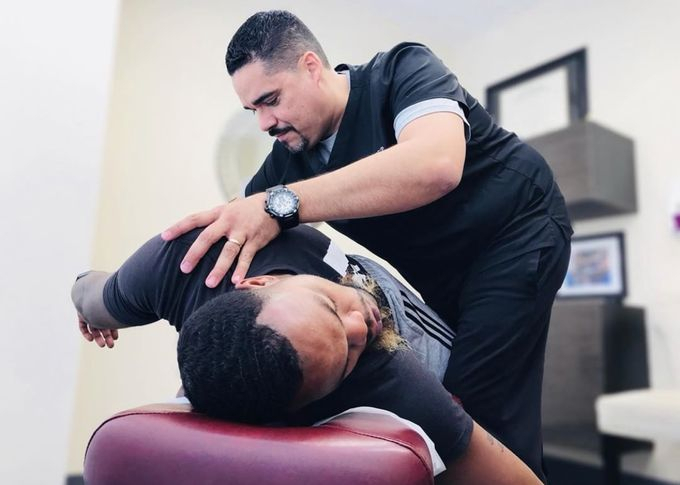 Chiropractic manipulation (adjustments), which are high-velocity, low-force techniques, are used by chiropractors to restore motion to the joints in the spine and extremities. Back pain can be caused by trauma and postural overstrain. This can cause entrapment of the synovial folds in the facet joints of the spine, which can lead to pain, spasm, and swelling. Adjustments can free up the synovial folds, providing pain relief. Adjustments, active/myofascial release, and therapeutic modalities are common techniques that we utilize within our practice, all of which aim to improve functionality, increase range of motion and/ or relieve pain, depending on the individual and his or her needs.